What is a Chine, What is a Dene? Bournemouth has four chines – Alum, Middle, Durley and Boscombe. There are several more along the Dorset coast, and elsewhere – particularly the Isle of Wight. But, what is a Chine? Typically, a chine is a deep, steep-sided ravine formed by a river flowing through to the sea. They tend to start by a small stream running over the cliff edge, creating a nick, or “knickpoint”. As the water continues to flow, erosion plays its part, and the ravine is formed. The word is Middle English, from the old French “eschine”. This is a mix of the Latin “spina”, meaning spine, and a Germanic word meaning “narrow piece”. Chine can also refer to a piece of meat cut along the backbone. Many chines are now dry, giving rise to the misconception that this is the definition. So, what is a Dene? A Dene is similar, hence the interchangeable use of the words. However, the main difference would appear to be that a Dene is densely wooded, and not necessarily running towards the sea. A Chine does not necessarily have to be wooded, but in many examples this is the case. 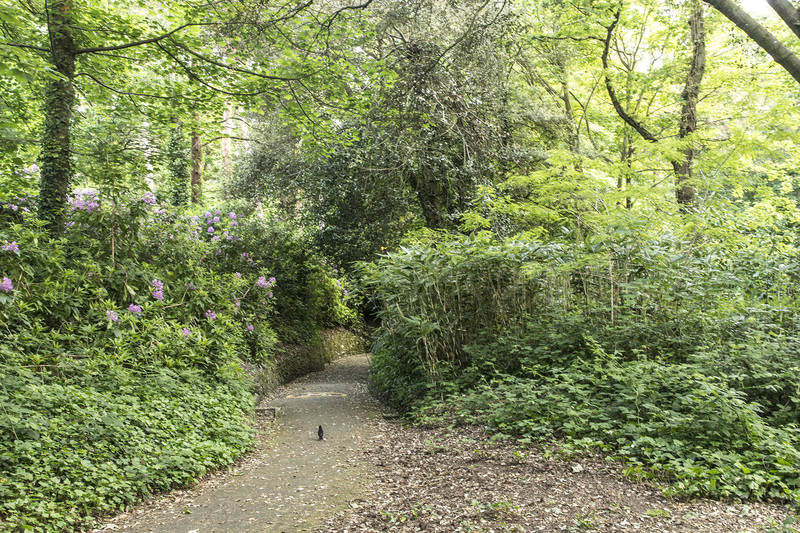 With the Bournemouth Chines, their wooded nature is more down to having been planted during the development of the resort rather than natural growth. Consequently, there is a mix of references to chines and denes in the area. Branksome, just to the west of Westbourne, is a good example. Branksome Chine and Branksome Dene both appear as popular names – not least the building originally known as “Branksome Dene” (now Zetland Court).